I can’t count on one hand the number of times I’ve watched the movie Jumanji. Thanks to NHN Entertainment Corporation we can now play its game. The movie has been revamped into a fun-packed versatile, epic mobile game. And the best part is that it comes with the original characters and environment. Just when I thought the legendary movie had gone forgotten for decades, it makes a comeback in a thrilling, adventurous game. Right at the start, you have to pick your favorite character. Make a choice between Doctor Bravestone, Moose Finbar, Ruby Roundhouse and Professor Oberon. Then, it’s time to equip your deck with well-thought skill cards. You have a huge task of saving all of Jumanji ahead of you – brace yourself. You will work together to unite the various regions of Jumanji. They won’t be able to overcome the ancient curse unless they work as one. Curse? You mean there’s a curse in the game? Download it and find out. I’m not here to give you spoilers. Between you and other real players, who will have a larger control of the vast key jungle areas? Play the game and get immersed in the player vs player battles. You will discover who your true friends are and who are the hired mercenaries masquerading as allies. Make the best out of your knowledge on the jungle and cryptology. You will thank yourself later. Do you have the guts it takes to rule Jumanji? There’s only one way to find out. FROM BEAUTIFUL FORESTS TO INEXPLICABLE GROUNDS! 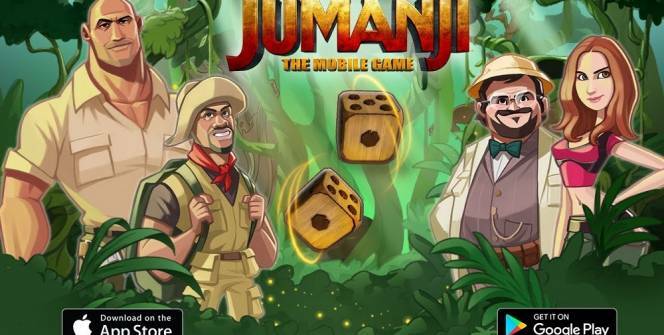 With the numerous different environments, you won’t stop playing Jumanji once you get your hands on the game. One minute you’re wading through the deeps swamps flooded with wicked snakes and crocodiles and the next moment you’re next to rhinos stampeding in the canyon. Throughout the game, you will slowly unravel the ancient wonders and discover artifacts from earlier civilizations. Jumanji is all about strategizing. Will you make friends with the cartographer or will you annoy the mythical hunter? It’s your call. 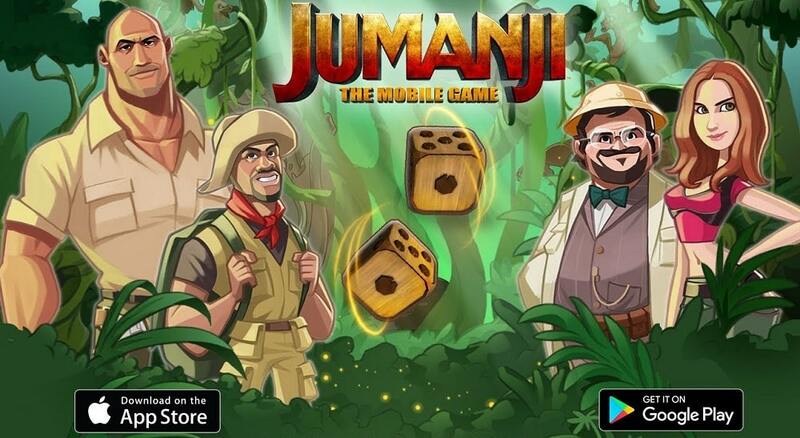 They say Jumanji: The Mobile Game is all about adventures. Unlike in other card games, Jumanji: The Mobile Game for pc lets you complete different levels by monopolizing or bankrupting your opponents. To stand a chance of winning – play your cards well. They’re quite tricky to master and unless you use them strategically, you won’t win any battles. Luckily, you’re able to upgrade your character’s once you win a battle. You could even customize your deck of skills if it gives you the crucial competitive edge. Each skill card is unique and opens up new techniques – if you know how to make the most out of it. In a nutshell, you’re controlling a character based on their recently released movie. With each roll of the dice, you move your character across the simple board. Think of it as a meeker version of monopoly. And the most amusing part of this game is you sometimes play as Dwayne Johnson – the Rock. Have fun gaming. 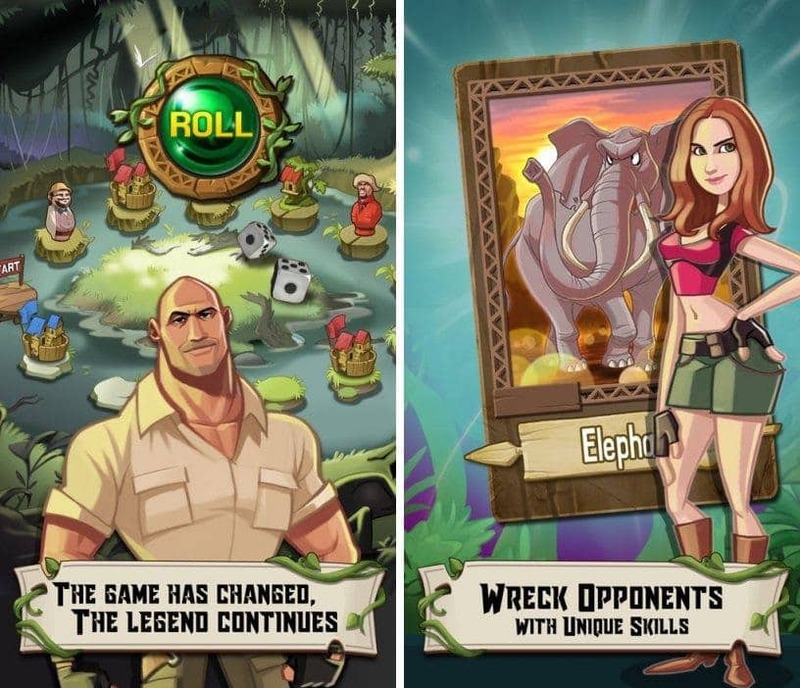 Warning: Jumanji: The Mobile Game servers shutted down and it is been removed from iOS and Google Android App Stores! Sometimes when playing Jumanji: The Mobile Game, bluestacks ask you fee to pay but gives you option to download some apps. Every time it asks you just select “Install apps” and continue using it free. I hope you enjoyed this article, please rate and share. If you have problems running Jumanji: The Mobile Game on your desktop or any other issues, leave a comment below.